Now that Jesse and the gang have vanquished the Wither Storm, saved the world, and become totally super famous heroes, life has gotten a bit more...complicated. With more responsibilities and less time for adventure, old friendships have started to fade -- at least until Jesse’s hand gets stuck in a creepy gauntlet that belongs to an ancient underwater temple. 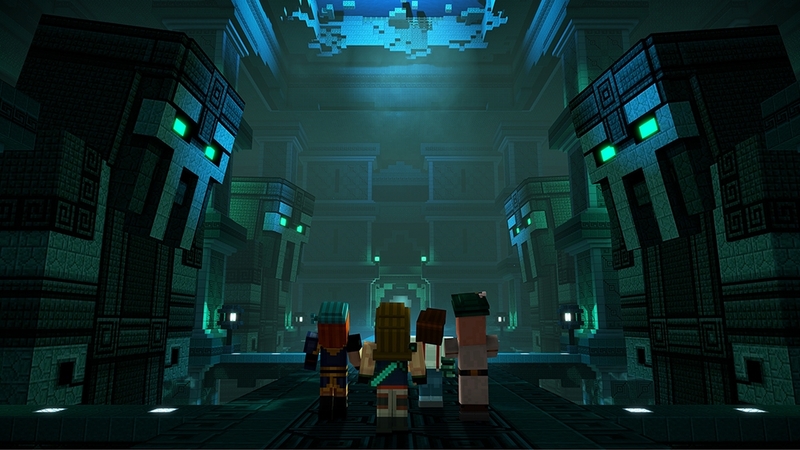 Download Episode One of Minecraft: Story Mode - Season Two, a five part episodic game series from the creators of Minecraft: Story Mode and Marvel's Guardians of the Galaxy - The Telltale Series. The home Jesse left so long ago -- Beacontown -- has succumbed to the iron rule of the Admin. Menacing guards patrol the streets, frightened citizens tremble in fear, and worst of all, everyone believes Jesse is responsible thanks to the Admin’s devious disguise. In order to save the city, the real Jesse must find a way to zap the Admin’s powers and take him down once and for all... Episode five of a five part episodic game series. 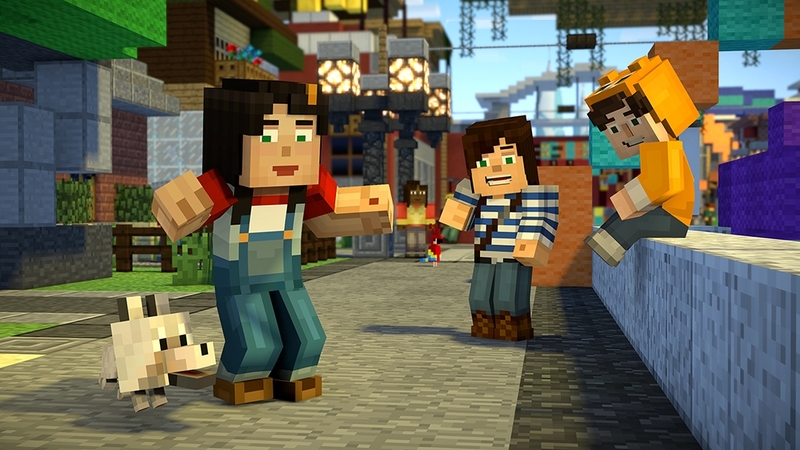 Purchase of this additional content requires Minecraft: Story Mode - Season Two - Episode 1. After narrowly escaping from the Admin’s twisted prison, Jesse and the remaining fugitives discover not just a forgotten city but an entire hidden world buried beneath the bedrock. Though largely in ruin, the gang quickly learns it’s not entirely abandoned, leaving them to win over wary inhabitants, face unexpected challenges, and pursue the real truth about the Admin’s origins... Episode four of a five part episodic game series. 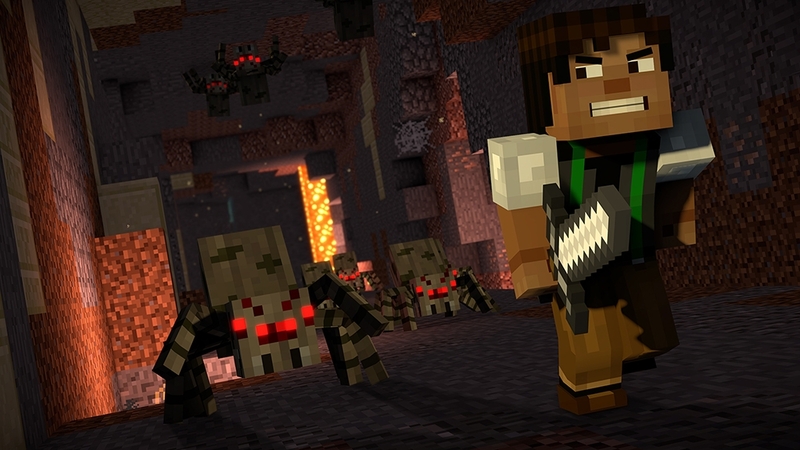 Purchase of this additional content requires Minecraft: Story Mode - Season Two - Episode 1. Having bested The Admin’s icy obstacles, Jesse and the gang are rewarded with a one-way trip to The Sunshine Institute, a nigh inescapable prison buried at the bottom of the world and filled with all manner of miscreants. In order to make it back home, Jesse has to find a way to break out, even if that means employing a few desperate measures... Episode three of a five part episodic game series. 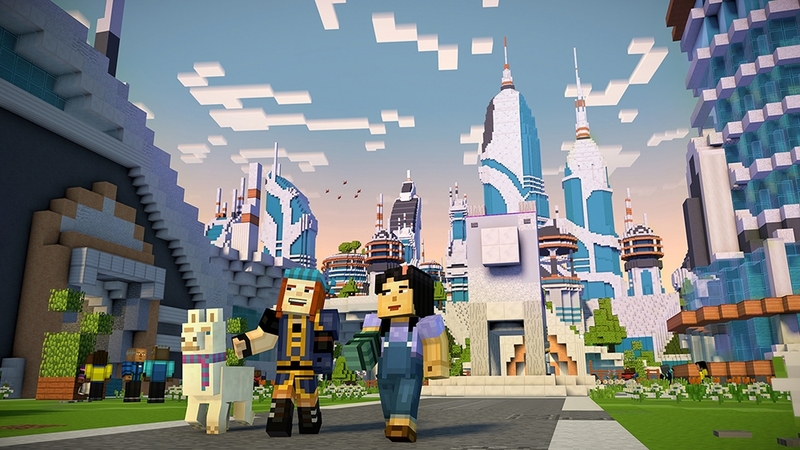 Purchase of this additional content requires Minecraft: Story Mode - Season Two - Episode 1. Jesse and the gang survived the Sea Temple, but they brought home a little more than they bargained for: a lost adventurer, a powerful device, and a colossal enemy capable of grinding Beacontown to dust. There may be more to this fearsome foe than meets the eye, but to find out, Jesse -- together with a few trusty friends -- must embark on another adventure, this time into the icy unknown... Episode two of a five part episodic game series. 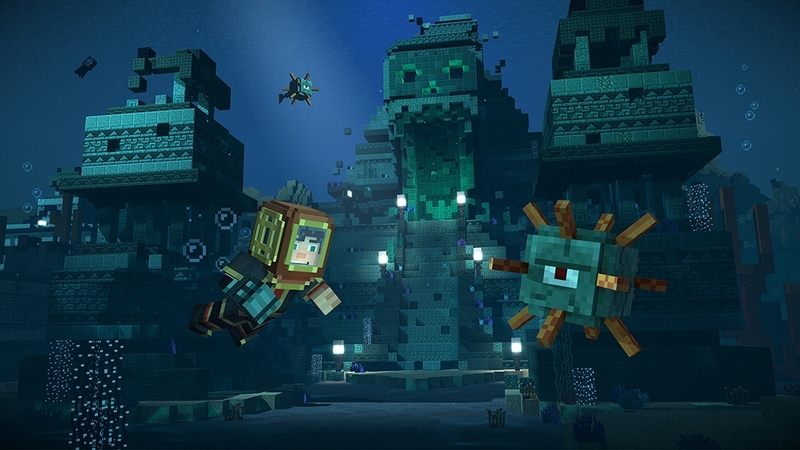 Purchase of this additional content requires Minecraft: Story Mode - Season Two - Episode 1. Now that Jesse and the gang have vanquished the Wither Storm, saved the world, and become totally super famous heroes, life has gotten a bit more...complicated. With more responsibilities and less time for adventure, old friendships have started to fade -- at least until Jesse’s hand gets stuck in a creepy gauntlet that belongs to an ancient underwater temple. Now that Jesse and the gang have vanquished the Wither Storm, saved the world, and become totally super famous heroes, life has gotten a bit more...complicated. With more responsibilities and less time for adventure, old friendships have started to fade -- at least until Jesse’s hand gets stuck in a creepy gauntlet that belongs to an ancient underwater temple. Together with old pals and new comrades alike, Jesse embarks on a brand new journey filled with tough choices, good times, and at least one temperamental llama. Includes access to Episodes 2-5 (available now!) in this all-new series from the award-winning studio, Telltale Games. 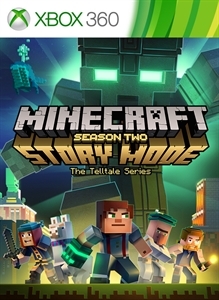 Purchase of this additional content requires Minecraft: Story Mode - Season Two - Episode 1.